Working in acrylics Bruce paints "anything that appeals at the time", but the local landscape is the strongest influence. He exhibits at Art Shows throughout Central Victoria and his work may also be viewed at Herons Fine Art Castlemaine and at the Bendigo Club. 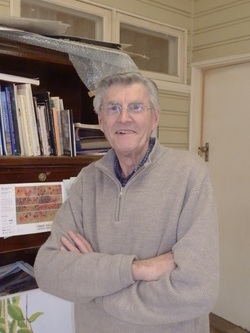 A Bendigo Art Society Member for 20 years he has served several terms as President.